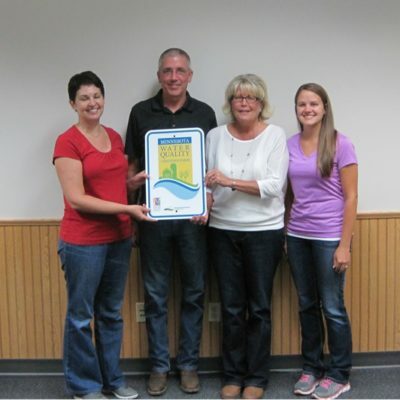 The Minnesota Agricultural Water Quality Certification Program (MAWQCP) is a new, voluntary program through the Minnesota Department of Agriculture (MDA) for producers to be recognized for protecting our water resources. Those who implement and maintain approved farm practices will be a water quality certified farm and obtain regulatory certainty for 10 years. Regulatory Certainty – producers are deemed in compliance with any new water quality rules or laws during their certification period. Recognition – producers are recognized for their consciousness of water quality in their operations and can promote their business. Priority for Technical Assistance – producers have a priority for special technical and financial assistance to implement conservation practices. 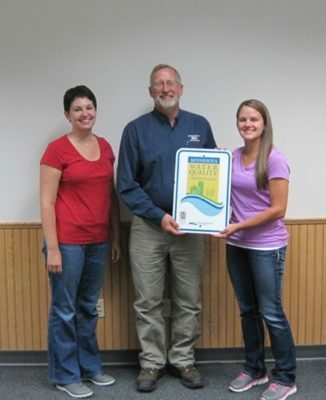 This program certifies farmers for managing the land within their operation in a way that protects water quality. If you are interested in the program or have any questions, please call our office at 507-345-4744 or stop in to discuss the program with our staff!